To do an in-depth study on the face of God, we have to go back to Genesis 32. It’s the first place where we are specifically told of someone who saw the face of God. It’s also the origin of the name Israel—a name that becomes synonymous with God’s people. The story at Jabbok, one of the most intense experiences in the life of Jacob occurred as he was returning with his family toward his homeland. He had served Laban for many years and now faced the prospect of meeting his brother Esau whom he had defrauded so long ago. In preparation for that meeting he sent gifts ahead so as to conciliate (make peace, appease) Esau hoping that Esau would “lift up the face” of Jacob (i.e., receive him cordially). Now on the night before that dreaded meeting, he found himself alone. Suddenly, “A man wrestled with him until daybreak”. That opponent turned out to be an angel from whom he received a blessing, “‘No longer will your name be Jacob,’ the man told him, ‘but Israel, because you have fought with God and with men and have prevailed’”. The prophet Hosea, looking back on that night, wrote; in Hosea 12:4, “He struggled with an angel and prevailed; he wept and begged his favor”. Jacob called that place Peniel. In the next verse and elsewhere it appears as “Penuel.” The name is said to have been given by Jacob because, as he said, “I have seen God face to face, and my life is preserved.” So Peniel means the ‘Face of God’. Jabbok is located on a high ground but evidently close by a stream over which Jacob passed in the morning. It is called the ford, which means ‘a place where a river or some body of water is shallow enough to be crossed by wading. The word, ‘brook’ is also mentioned; implying a small natural stream of fresh water. Jacob needed to encamp there because of his cattle. Jabbok is believed to be a prominent cliff, the contour of which resembled a human face. Jacob would have known the special feature of this place and when he encountered God; he renamed it the Face of God. In later times a city was built and a strong tower erected. Today Jabbok is some 40 miles from Jerusalem. What can we learn from this portion of Scripture? Now, did Jacob really see God “face to face”—really see God’s face? In the first place, the text appears to indicate that it was pitch black that night—so dark that he could not even recognize his opponent. So ‘face’ here can figuratively represent the whole person. It is likely, therefore, that “face to face” in this context describes a personal encounter between two individuals (i.e., person to person). Confirmation of this understanding comes from Moses’ encounter with God before Mount Sinai. Deut 34:10 says that, ‘Moses, knew the LORD face to face’. On one occasion in the tent meeting, which lay outside of the Israelite camp, God was said to ‘speak to Moses face to face the way a person speaks to a friend.’ This is found in Exodus 33:11. So firstly the face of God figuratively represents the whole person and a personal encounter with that person. Secondly the face of God is also a term used to refer to the character of God; a reference of God’s real and true self. Here the favor of God as His character is manifested; especially his favor towards his people. Jacob not only encounter the person of God as one to one but also received the favor of God; an aspect of His character. For God to turn his face to his people is to offer them his grace and help; for God to turn his face away against his people is to without his favor and blessing. Have you seen the face of God in your life? Do you have a personal encounter with God as one to one? 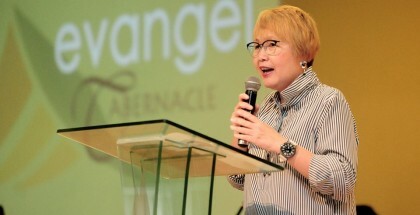 Is the character of God manifested to you as a result of that one encounter? Do you have a better understanding of God’s real and true self? The face plays an important role in our everyday experiences. If we say that we wish to see someone “face to face,” we may mean that we desire to have a meeting with that person. We could also mean to have a “face to face” confrontation with that one. If we report that we said something “to his face,” we indicate that we spoke openly in that person’s presence. Face also appears in many of our idioms. If we “face up” to a problem, we confront it in an effort to solve it. To “fly in the face” of prevailing opinion suggests a course of action contrary to an accepted policy, belief, or standard, while “setting one’s face against” someone indicates open defiance or determination to oppose that person. If we “show our face” at an event, we attend it or perhaps allow ourselves to be seen there. By doing so we may either “lose face” or “save face,” that is, we may lose or maintain our respect. GOD has a face. There is a face behind this universe, a Person with ears that hear, with a mouth that speaks His Word, and with a mind that orders things, that guides and leads. Behind this magnificent universe that God has made the most wonderful thing of all is that there is Someone who can be met, Someone with a face we can get to know. The enemy of our souls hates the face of God! Nothing could contain God’s glory like a face. God is a real Person who is seeking all the time to get to know men and women, to make His face known. I believe God wants to meet us as a person that we can openly speak to him in His presence. He wants us to set our face towards him as Jacob did. Also the glory of God is seen in His face. Face simply means presence. To see the face of God is to experience the presence of God. It is recorded that Adam and Even hid themselves from the face of God which means from the presence of God. The experience of Adam and Eve on Genesis 3, Jacob’s experience at Jabbok and Moses’ at the Exodus uses the word ‘face’ to mean ‘presence’. Often on a Sunday morning, we come away from the worship time, the altar time knowing we experience the presence of God. But I think we need to go further like Jacob, Moses and Paul to have a vision of God or to see God’s face. To see the Face of God means to see God or have a vision of God. It is so important to have a vision of God. All great men of God have a vision of God. We must have a vision because vision is life giving, especially a vision of God. Where there is no vision, the ability to perceive future developments, the people perish. The literal translation is ‘without a prophetic vision, the people perish. People are perishing because in many respect they have never see the impact of our vision. And if we don’t have a vision, then we will eventually perish also. We must have a vision, like Jacob, Moses because a vision is life giving, especially one that is born of God. Paul had a vision of God on the road to Damascus. If we are ever going to impact the world, we have to have a vision of God; see God’s face. You ask, ‘how to see God’s face’. Well Jacob and Moses’ experience came about as a result of praying while Paul was more of a power encounter. Prayer is indeed wrestling with God, which Jacob does. 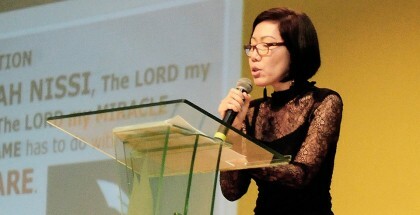 I was very ministered by Pastor Peter Chng’s definition of prayer which really challenges me to want to pray. When we pray we must be wrestling. If we are not wrestling, we are not truly praying. 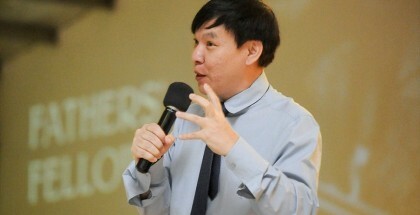 Pastor Peter Chng challenges me to Ask, Seek and Knock in prayer. Asking is the Art of requesting from God. It is the lowest level in prayer. The tragedy is not in unanswered prayer; rather the tragedy is in unoffered prayer. Seeking is the Art of Searching or researching. That is what we should be doing when praying. That is what I have been learning from God; the art of searching and researching God. I know God wants me to take the time and trouble to find the mind of God. At times, I succeeded and those times I succeeded, I always felt good and happy and rewarding. Seeking takes time. The condition is time. And Knocking is the Art of insisting. It is to push until something happens. This is what Jacob and Moses did. Jacob said, ‘I will not leave thee until you bless me’. Moses said, ‘I pray thee, let me see thy face.’ Moses wants God, not things from God. This is where we receive our victory. I must admit that I failed miserably in this part; the art of knocking. Many times God prompt me to continue after I enter into the Art of searching or researching to claim victory by insisting, pushing until something happens. Well, Jacob did exactly that and he obtains a blessing. It is in this wrestling prayer that Jacob wins a great spiritual victory. I want to learn the Art of Asking, Seeking and Knocking. I know I will learn to triumph through defeat in life and to be strong through weakness in self. I will learn to empty of self and of confidence in my own cleverness. And God will change your name to Israel; variously translated as God rules, one who strives with God and became a prince of God. The fact that the match lasted till daybreak is significant. It suggests a long, decisive bout. Prayer takes time. But if you are serious about the blessing then God is serious about touching you. The bible says Jacob was left alone. True prayer comes about when we are left alone with God. To be left alone with God is the only true way of arriving at a just knowledge of ourselves and our ways. No matter what we may think about ourselves, or what other may think about us, the great questions is what does God think about us and that is only possible when we are alone with God. Because when we are left alone from the world from all thoughts, reasoning, imaginings, only being alone with God can we get a correct judgment about ourselves. Like Jacob, our prayer should come to a point that we wrestled with God, a being so vastly superior to us, which could easily have crushed us, a worm to pieces. Though we may have a sight of God and die, because no one can see God and live, yet Jacob met God himself and was preserved and God proclaimed that he has prevailed with God and man and he has wrestled with God and prevailed. If you want to be a prince like Jacob, have a new understanding of prayer; a wrestling where we ask; requesting, seek; searching or researching and knock; insisting. If we do that we will come away with three experiences with God. We have respect unto God, we are familiar with God and we have intimate communion with God. In wrestling men are face to face, and in this position were Jacob and the man that wrestled with him. So it implied that as a result of the whole night of wrestling, Jacob had respect with that man, became familiar with him and there was intimate communion between the two. Well, it is true that no man can see God’s face. But read Exodus 33:20-23 which says, ‘And he said, Thou canst not see my face: for there shall no man see me, and live. And the Lord said, Behold there is a place by me, and thou shall stand upon a rock; And it shall come to pass while my glory passeth by, that I will put thee in a clift of the rock, and will cover thee with my hand while I pass by: And I will take away mine hand, and thou shalt see my back parts: but my face shall not be seen’ Jesus is that Rock and when Jesus died, the veil was thorn in the temple. God has made it possible for us to freely come before God and seek His face. That angel at Jabbok is the second person of the Holy Trinity; Jesus Christ. Today God has a face, it is the face of Jesus. We see the face of God when we see Jesus. The beauty of God is fully seen in the face of Jesus. As we gazed upon the face of Jesus, we are gradually transformed. In their “American Piety in the 21st Century” study, Baylor University and the Gallup Organization asked 1,721 survey participants about God’s character and behavior. They discovered that contemporary Americans worship at least four versions of the Almighty. First, there’s Authoritarian God, who is seen as highly involved in believers’ lives and in world affairs, but who is ready to throw the thunderbolt of judgment on the ungodly. Then there’s Benevolent God, who still sets absolute standards for mankind in the Bible, but is seen primarily as a forgiving God, more like the father who embraces His prodigal son. Believers in Critical God understand Him as the classic bearded grandfather in the sky, who looks at the world in disapproval, but does not intervene-to punish or to comfort. Finally, there’s Distant God, who is not active in humanity’s affairs at all, and is not especially angry either. Distant God is more of a cosmic force who set the laws of nature in motion and has left the universe spinning on its own. Authoritarian, benevolent, critical, or distant-which is most accurate? Which do you believe God to be? Well the scripture is the best accurate description of God. I would call it the scriptural face of God. The righteous will see God’s face in the life to come. The shining of God’s face upon his people indicates his blessing. When Moses came down from the Mount Sinai, he did not know that the skin of his face shone while he walked with Aaron. How did the glory come to be there on Moses? Well it is a reflection of the glory when he had seen when He was with God. The result of the face of Moses was the result of fellowship with God. Pastor Lily and I when interacting with people, has a habit of observing people’s face. It is not so much on peering into that face. Rather it is seeing the countenance as a whole; as a person. For some people, the countenance glow. I guess it is because of the fellowship with God. For others it is a darkness. The darkness has to do with sin in their lives. Protracted fellowship with God brings him in the light of God and his soul is saturated with the divine influence. God’s face accompanies Israel as a symbol of His presence. Sin can cause fellowship with God to be broken so that he Lord will hide his face from his people. Deut 31:16-17 says, ‘And the LORD said unto Moses, Behold, thou shalt sleep with thy fathers; and this people will rise up, and go a whoring after the gods of the strangers of the land, whither they go to be among them, and will forsake me, and break my covenant which I have made with them. Then my anger shall be kindled against them in that day, and I will forsake them, and I will hide my face from them, and they shall be devoured, and many evils and troubles shall befall them; so that they will say in that day, Are not these evils come upon us, because our God is not among us? In such cases when God hides his face, not only will pain and sorrow follow but dire circumstances can occur. This is so true of Cain. Cain complained to the Lord that he was driving him from the ‘face of the land’, to places where he would disappear from God’s sight and possibly be the victim of some person’s murderous act. Cain is correct in his fear. God warned the nations Israel through his messengers that if his people sinned against him judgment would surely come, whether upon individuals or the nation: ‘I have determined not to deliver this city but to bring disaster on it. I will set my face against the city for evil and not good. When God hides his face, blessing is withheld. The worst is God set His face against sinners.